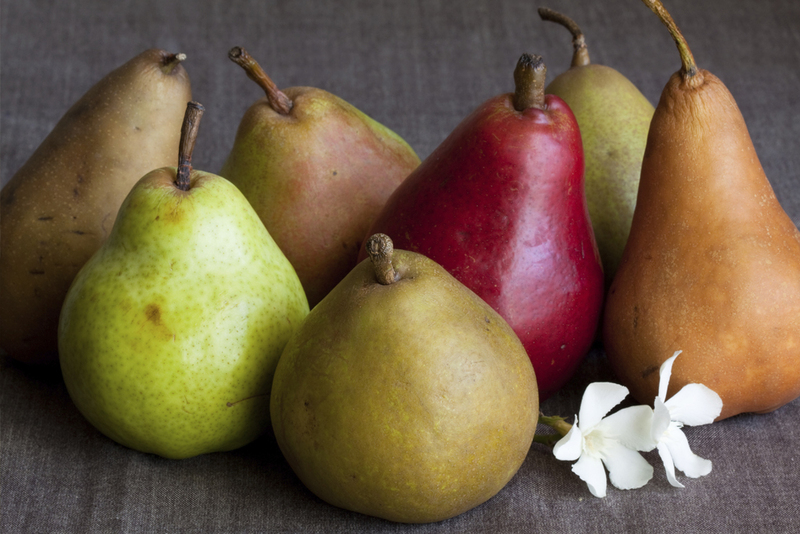 Enjoying pears in season « Healthy Foods In a SNAP! Fall is just around the corner and so is pear season! Pears look a lot like apples and have a unique taste that is sweet and delicious. Asian pears (which are round and yellow or brown) are best eaten when they’re still crispy, but most pears are better when they’re ripe and juicy. Pears ripen best once they are off the tree, so you can buy them at any stage of ripeness. Keep them at room temperature until they feel a little soft and smell sweet. Once they are ripe, store them in the refrigerator. Ripe pears are excellent snacks and are also great in fruit salad or baked for a side or dessert. Try adding a sliced pear to a sandwich. However you prepare them, enjoy the delicious taste of pears this fall!